Exotic Seed’s Russian Automatic pairs AK-47’s great genetics with the qualities of a Skunk Auto, resulting in a top-grade autoflowering strain that excels in many aspects. 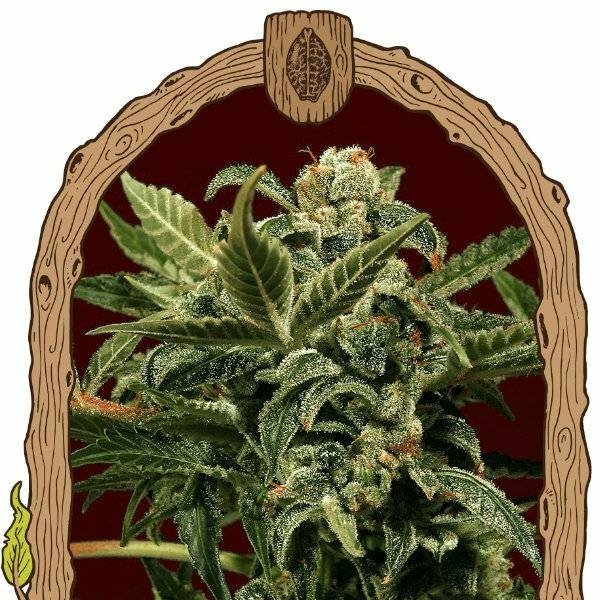 Easy to grow indoors or outdoors, she brings respectable yields on the table and convinces with a superb aroma and powerful high. Russian Automatic is an excellent choice for growers who want AK-47 quality in an easy autoflower. AK-47’s superb genetics and outstanding qualities made her one of the most awarded cannabis strains. She is still incredibly popular and an all-time favourite in many coffee shops in Europe. When you know about the qualities of the original, every new cross with AK-47 genetics naturally has expectations going sky-high. This is Exotic Seed’s impressive autoflowering variety of AK-47 where they crossed a fine AK-47 specimen with another famed strain, Skunk Auto. This hybrid has been crossed with itself and the result is a spectacular F6 hybrid that stands out because of its quality, potency and productivity. Russian Automatic is a robust plant that is very easy to grow. She will thrive almost anywhere, whether you want to grow her indoors, outdoors or in a greenhouse. The strain grows solid and strong branches that help her carrying loads of her very resinous buds comes flowering time. She is ready for harvest in a short 11 weeks after germination and growers can look forward to yields as high as 450-500g/m² in optimal conditions. Russian Automatic will normally grow the typical stinky and Skunky buds that later on will develop a fuller and earthier taste. Some of her phenotypes can have a more fruity aroma to it. Russian Automatic’s great high is right up in the same league of what made AK-47 so popular. Her effect is very powerful, uplifting and creative while deeply relaxing at the same time. Exotic Seed’s Russian Automatic can be the perfect strain if you want to enjoy AK-47’s superb qualities with ease, without the hassles and in a very short time!